There are many famous walls in the world, such as the Great Wall of China, or Hadrian’s Wall, but modern history has produced some too. No structure epitomised the Cold War more than the Berlin Wall, a barrier built overnight to keep the Communist east separate from the Capitalist west. Berlin was officially divided in 1945, with the capital split between British, American, French and Soviet-controlled sections, just like the whole country. This left West Berlin as an island of the new West German nation, surrounded by the East. This caused consternation for the Communists, as east Berliners were able to cross easily to the west and experience its affluence and freedoms. Thus, in 1961, the wall was built, splitting families and symbolising the divide between east and west until it dramatically fell in 1989. During its 28 years of existence, hundreds risked their lives to cross to the west – and many died trying. 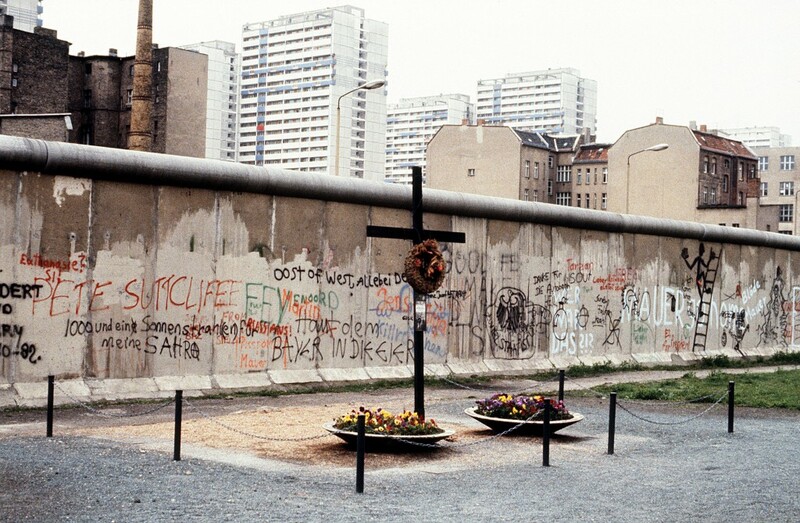 Most of the wall has been torn down, but a few small sections remain, one of which – part of the Berlin Wall Memorial – has been preserved in Cold War style, with fortified grounds and border towers. Located on Bernauer Strasse, it stretches for 1.4 km and while some of it is made from the remaining concrete wall, much of it is a line of vertical red metal poles that follow the line of the wall, providing a visual reminder of where the wall was, but allowing space for the free people of today to pass through. There is also a documentation centre, where visitors can learn more about the history of the wall and its effects on the city. For Germans, the wall is hugely symbolic, with its fall making possible the reunification of east and west the following year. The story it tells is of a grim history that emerged out of war and was marked by tyranny. Yet it is now a symbol of a nation restored and taking its place proudly at the heart of Europe. In short, anyone who visits Berlin should visit the memorial, to understand just where the city has been – and where it is going.